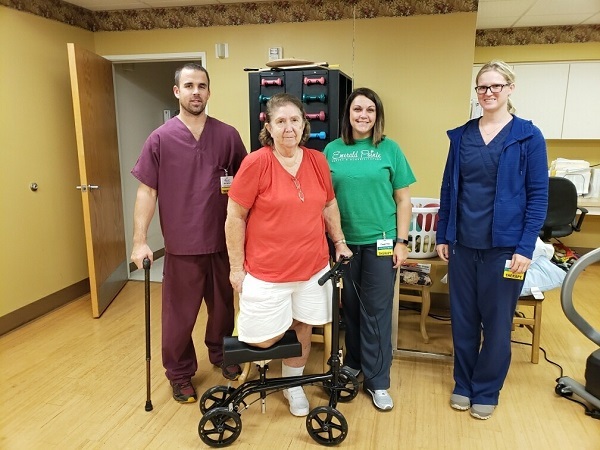 Barnesville Resident Back on Her Feet! We have another Emerald Pointe Success Story to share with you! We are so happy to get Mellot back on her feet! "When I came here I could do nothing and now I can dress myself, go to the bathroom, and more on my own! The staff is great and they couldn’t have done more for me!" Emerald Pointe is a proud member of the Foundations Health Solutions family, founded by nursing home developer Brian Colleran. Brian's vision is for each facility to have the best staff, producing the best clinical results and resident satisfaction across the state. Mellot's story is another example of the commitment of Foundations Health Solutions to help each resident reach their maximum potential.